In an increasingly turbulent and uncertain world like ours, finding ways to take a breather from reality have become increasingly important. There’s a good deal of research that suggests spending more time away from social media and the omnipresent news cycle usually warrants positive results, not to mention the calming health benefits of reading an old-fashioned paperback. But if you’re looking to dive into a book with a little more believability than most fantasy or sci-fi titles and more timely relevance than a Victorian drama, you might want to consider the romance section. Few know this better than USA Today bestselling author Maggie Way, who’s been exploring the romance sections of countless bookstores since she was 13 years old. Now an accomplished author with a growing readership and an entire romance series under her belt, Maggie describes herself best in her own words: “an office worker by day and a sassy romance author by night.” Long established as a self-published author, she’s chosen to find a publishing company to put out her latest and most anticipated novel, Heart of Thorne (pszr.co/zZeQK). At the center of all this romantic geometry are Mia Winters, a young woman trying to chase her dreams in Chicago, and Roman Thorne, her now-engaged ex-lover who suddenly reappears in her life. As one might expect, it doesn’t take long for the flame of passion they once shared to reignite. For this novel, Maggie wanted to explore one question that anchors her story: what would your morals be worth in the face of love? While many of those titles that influenced her follow certain formulas and clichés, Maggie worked to avoid those when writing Heart of Thorne, which she describes as “timeless, yet fresh at the same time.” In other words, she didn’t want to sugarcoat the harsh realities of love. 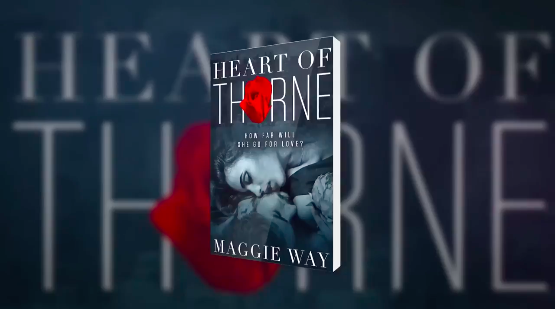 After self-publishing all of her other work, Maggie is now crowdfunding a campaign to release Heart of Throne to a wider audience of readers through Publishizer. 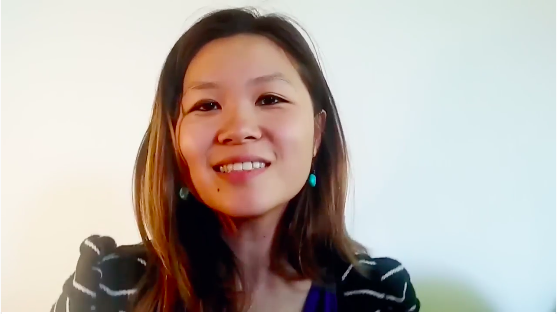 Thus far, she has nothing but positive things to say about the experience: “I had planned to query to agents/publishers for the launch but then I read about Publishizer in the Writers and Artists Yearbook and was intrigued by the idea. After researching the company some more, the idea to crowdfund the book made perfect sense to me — I had already built a small but loyal audience, so I already had that to my advantage over other indie authors. The process to become published was also noticeably faster than the usual query process, so after talking to Publishizer I decided to go for it. Those who preorder Heart of Thorne are also eligible for prizes like her entire back-catalog of books or a one-on-one Q&A session with Maggie. In her latest literary undertaking, Maggiehopes to bring her own edge to the romance genre.